Few materials are as strong as concrete. According to the Cement Sustainability Initiative (CSI), concrete is the most used man-made material in the world. It’s used more frequently than wood, steel and other building materials. In residential settings, concrete usually isn’t exposed – except, perhaps, in a basement or garage. However, homeowners are starting to embrace the raw beauty of concrete walls in various applications. There are several ways to use concrete walls in industrial designs. 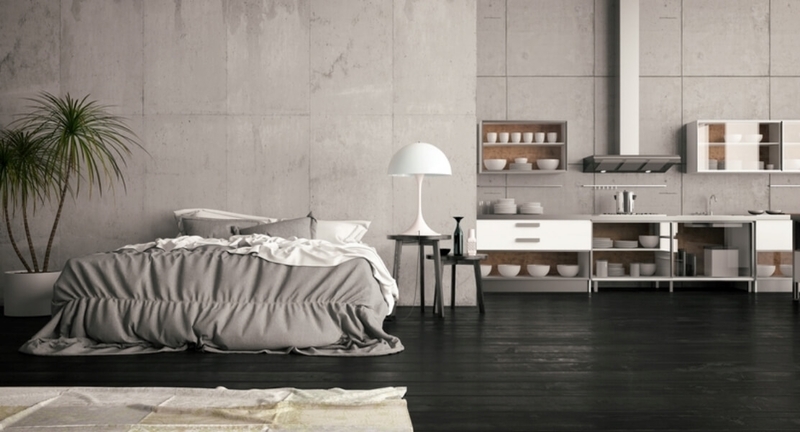 “Concrete comes in a variety of colors and finishes. Concrete is also a strong material, which means you won’t have to worry about decay or corrosion. In addition, concrete is a sustainable material. According to CSI, concrete walls (and floors) reduce temperature swings by slowing the passage of heat moving through the structure. And this can, in turn, reduce your heating and cooling costs. Also, concrete is one of the most energy-efficient materials to produce, using significantly less energy than aluminum, stainless steel, steel, glass, timber and brick. If you love the look of concrete but you’re not sure if you want to commit to a concrete wall, there are several other options that you can try. Concreate makes concrete panels in a variety of colors, including natural gray, metal gray and bronze gray. The panels only weigh 1.3 pounds per square foot and are 1/8” thick. Concreate panels can be applied to drywall, plywood, cement board and concrete. 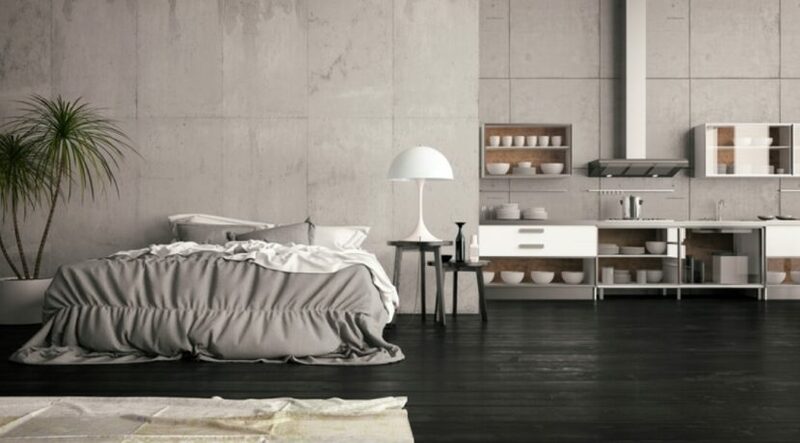 ConcreteWall wallpaper is another option to consider.